It’s official: there is no government posting more inauspicious than that of Kunming Communist Party Secretary. 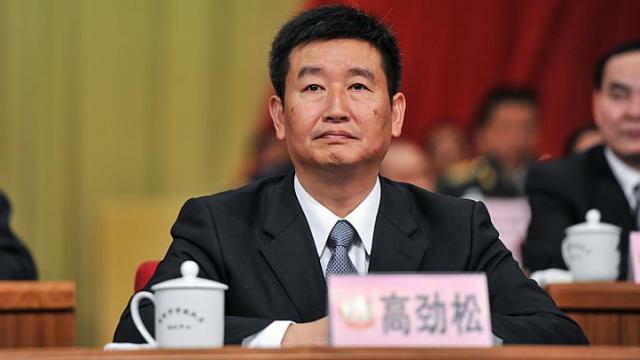 On April 10, the Yunnan discipline inspection commission announced that current Kunming party chief Gao Jinsong (高劲松) is being investigated for “serious violations of party discipline and law,” official jargon for corruption. 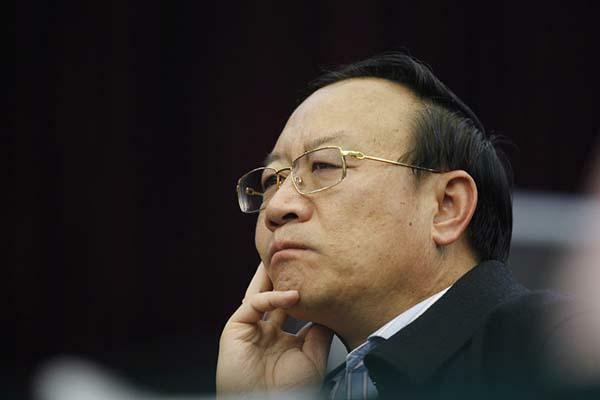 He had served as the Yunnan provincial capital’s party chief for less than eight months. Gao, 51, is the third consecutive Kunming party chief to have fallen victim to President Xi Jinping’s anti-corruption campaign. His predecessor, Zhang Tianxin (张田欣) was forced to step down in July 2014 and Qiu He (仇和), who held the post from 2011-2014 was investigated just last month. 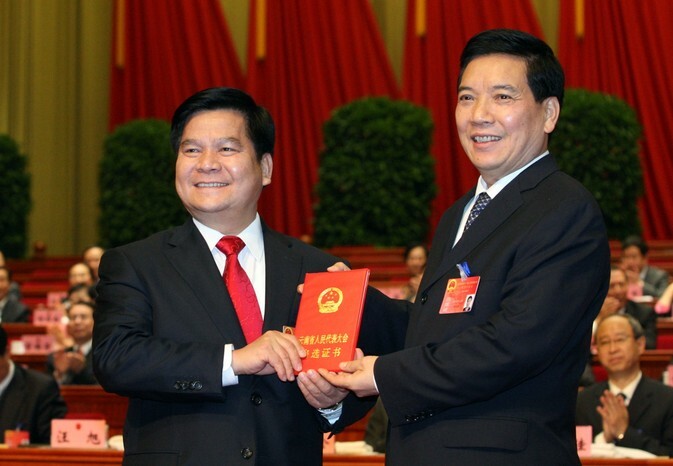 Before assuming his post in Kunming, Gao Jinsong was the Communist Party secretary of Yunnan’s Qujing prefecture from 2012 to 2014. Along with Kunming party secretary, Gao was also party secretary of the city’s garrison command. He was not, however a member of Yunnan’s standing committee, the top level of party leadership in the province. According to a report by Caixin, Gao’s investigation is linked to the case against Bai Enpei (白恩培). The former Yunnan provincial party secretary, Bai was investigated for corruption and in August 2014. Gao reportedly gave Bai Enpei millions of yuan in bribes. “Bai and his wife confessed … regarding the bribes they took, which implicated many officials currently in office,” Caixin cited an anonymous Yunnan official as saying. Gao’s investigation marks a new direction for the current anti-corruption drive. When Gao was announced as the replacement for the disgraced Zhang Tianxin in August 2014, many locals thought him to be a safe choice. It was assumed that the central government had properly vetted him and that his term as party secretary would last longer than eight months. It’s obvious now that something went wrong. It is certainly possible that Gao’s investigation is directly related to the Bai Enpei case. However, the investigations and court proceedings in official corruption cases are done behind closed doors, the details of which are only released through state-run media. Indeed, it would make sense that Gao Jinsong had corrupt dealings with Bai Enpei. Bai, who was the provincial secretary from 2001 to 2011, was a kingmaker of Yunnan’s party leadership and Gao’s political rise coincided with Bai’s tenure. Regardless of the exact details of Gao’s case, what is becoming clearer with each disgraced official is that the central government is displeased with Yunnan. It is a troubling new face of the province’s relationship with Beijing. In the early 2000’s provincial leaders took pride in their appointment to serve as China’s chief representatives for carrying out the country’s economic policies and cooperation initiatives with neighboring Southeast Asia. Now the Yunnan provincial leadership’s role is tarnished and uncertain. In an action plan for China’s One Belt, One Road Initiative revealed last month at the Bo’ao Forum, Yunnan province was not listed as a key province despite its geographic significance in the current and future development of the South Silk Road. Furthermore, the future of Luosiwan International Trade City, which acts as a logistics hub for all Chinese goods travelling overland into Southeast Asia, is surrounded by uncertainty after its owner, Liu Weigao, was arrested for corruption earlier this year. In the past thirteen months, the entire Communist Party leadership of Yunnan has fallen one by one to charges of corruption. That the man chosen to replace one of these fallen leaders has now been investigated himself for graft only reinforces the notion that something is wrong in Yunnan’s politics. Is it that the profits from province’s tin and copper mines are too tempting for these top officials? 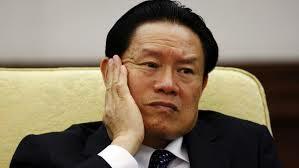 Is it their connections to the disgraced security czar Zhou Yongkang and his Sichuan-based clique? Or is it something else? Whatever the reason, Yunnan’s relationship with the center is clearly troubled with no solution in sight. Those next in line for the province’s party leadership will be desperate to find one; their role in China’s development in Southeast Asia depends on it. During dynastic times, Yunnan was known as a place where disgraced mandarins were sent to live out their days and where the local officials maintained a large degree of independence from the capital. As the saying goes, “the heavens are high and the emperor is far away.” However, as new highways and railroads have linked Yunnan to the rest of China over the past century, Beijing is not as distant as it used to be, and the days of the province’s freewheeling officials seem to be at an end. If that were ever in doubt, a recent string of high profile corruption cases have confirmed Beijing’s grip on its representatives in the land south of the clouds. 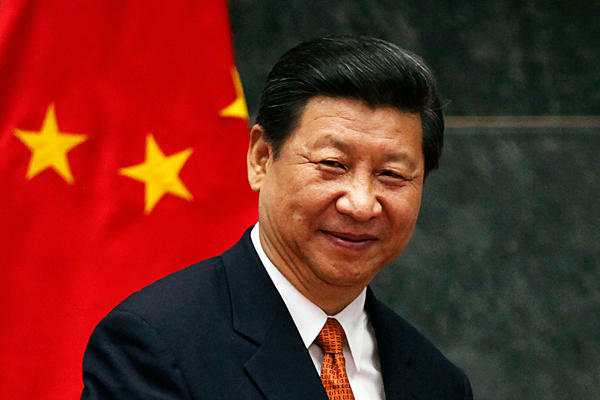 Since President Xi Jinping took office more than a year ago, the Communist Party of China (CPC) has undertaken the herculean task of ridding itself of graft, collusion and anything that would diminish the public’s already low level of trust in its leaders. By going after both high-ranking party leaders and petty bureaucrats, or ‘swatting flies and hunting tigers’ (拍苍蝇，打老虎) in the modern parlance, the current anti-corruption drive has yielded impressive results. To date, over 50 high level party members have been arrested, 182000 government officials punished, and as of July 2014, 6,000 officials have been placed under investigation this year. 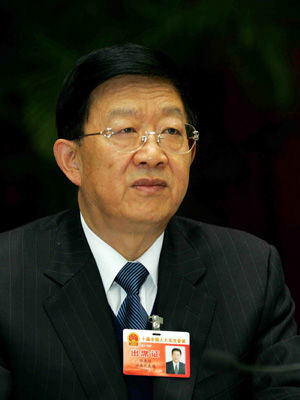 Among the ‘tigers’ caught in the campaign are former mayor of Chongqing, Bo Xilai, former Minster of Railways, Liu Zhijun, former vice-chairman of the Central Military Commission Xu Caihou and former Minister of Public Security, Zhou Yongkang, also a member of the Politburo Standing Committee under Hu Jintao. Thousands of officials from every region have been swept up in the campaign and Yunnan Province has indeed seen its fair share, with hundreds of local public servants investigated since the 18th Party Congress almost two years ago. However, in recent months, a number of high profile officials in the province have found themselves in the cross hairs of the Central Commission for Discipline Inspection. The first major official to fall was Shen Peiping, former vice-governor of Yunnan Province. Shen, a native of Baoshan, Yunnan, worked in various government posts before becoming Mayor of Pu’er City in 2007. Dubbed ‘Mayor of Tea’, Shen gained fame in promoting the local Pu’er tea to the rest of China and the world, leading to quick economic development of the region. However, Shen was also known locally for his heavy-handed tactics in dealing with petitioners and shady relationships with local businessmen. After spending a little over a year as the vice-governor, Shen was officially investigated in March of this year and in August, he was charged with using his post for personal benefit, accepting large bribes and committing adultery. Traditionally, intra-Party disciplinary investigations almost always lead to a court case, where the conviction rate is above 99%. Therefore, few expect Shen to recover from these accusations. 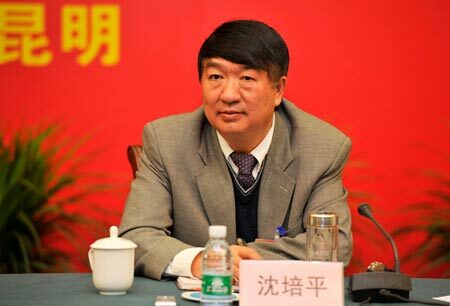 Days after Kong Chuizhu’s death, the Central Commission for Discipline Inspection announced it was investigating Zhang Tianxin, former Party Secretary of Kunming. 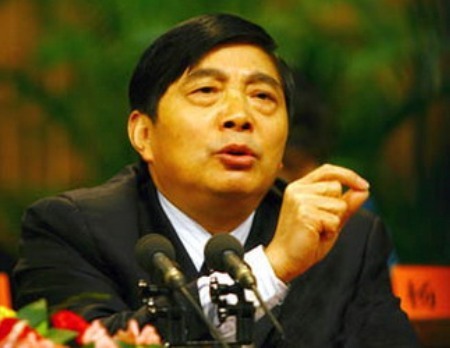 Zhang’s Party membership and posts were immediately revoked as a result of the investigation. Zhang, the CPC Party Chief of Yunnan’s Wenshan Prefecture from 1999 to 2006, was apparently involved in corrupt practices in the prefecture’s mining industry. In addition, it is significant to note that Zhang was taken down just two weeks after an exposé aired on CCTV revealing plans for a number of illegal housing developments on the shores of the famously polluted Lake Dianchi, plans that Zhang reportedly approved. Indeed, Bai Enpei did not have much time left. On August 29, it was reported that an investigation was being opened on him and that he was suspected of “serious discipline and law violations,” Party jargon for ‘corruption’. Bai, Provincial Party Secretary from 2001 to 2011, oversaw a period of rapid growth for the province. He was a vocal supporter of hydropower development and campaigned intensely in favor of damming western Yunnan’s Nu River, also known as the Salween. Following 10 years as the CPC’s top man in Yunnan, Bai assumed the post of deputy secretary for the Environmental Protection and Resources Conservation Committee. His tenure there, however, was cut short. According to a report from YiCai, the former vice-secretary for the People’s Political Consultative Conference of Yunnan, Yang Weijun submitted to Beijing an official complaint regarding Bai’s corruption in mid-August in which he detailed Bai Enpei’s extensive dealings in selling off mining contracts in the province. In the most grievous case, Bai sold sixty percent ownership of China’s largest zinc and tin mine for a mere one billion yuan, despite the mine having an estimated value of fifty billion yuan. The shares were sold to a relative of Liu Han, a Sichuanese mining tycoon and close friend of Zhou Yongkang. Mr. Liu was sentenced to death earlier this year for murder, among other charges. As the above infographic shows, Bai Enpei was at the center of corruption among Yunnan’s political elite and closely tied with Zhou Yongkang and Liu Han. What’s more, when Bai was the party secretary of Qinghai from 1997 to 2001, he had dealings with Jiang Jiemin, a former executive of the notoriously corrupt Sinopec who is currently under investigation for embezzlement of state funds. Many of Bai’s former colleagues from his days in Qinghai have also met the same fate as him and currently face investigation by the Central Commission for Discipline Inspection. The dominoes did not stop falling with Bai Enpei, however. In mid-October 2014, state media announced that Yunnan Party Secretary Qin Guangrong had been relieved of his duties and would be replaced by sitting governor, Li Jiheng. Qin will now assume the post of vice-secretary of the State Organs Work Committee. However, local Kunmingers interviewed see the job transfer as more of a demotion with possible serious consequences. “(Qin’s) new position is meaningless, he has no power there. The central government just put him there until he’s formally charged… and that should be coming soon,” Yang Mouren, a local teacher, claimed. He may be right. While Qin was well-liked by many locals, he had close ties to a number of disgraced officials and it is probable that like his colleagues, Qin also had his hands in corrupt resource deals. However, unless he is formally investigated, details regarding any corruption Qin took part in will not be publicly released. With so many high officials, and hundreds of local bureaucrats, investigated, it’s clear that the central government has its sights on Yunnan’s corrupt officialdom. But, with countless other corrupt officials scattered across China, many locals are asking ‘Why Yunnan?’ The reasons are twofold. The first has to do with Yunnan’s natural resources. Of the two provinces that have so far been cleaned out by Beijing, Yunnan and Shanxi, one important commonality is their abundance of resources. With such wealth in natural resources come opportunities for massive corruption. 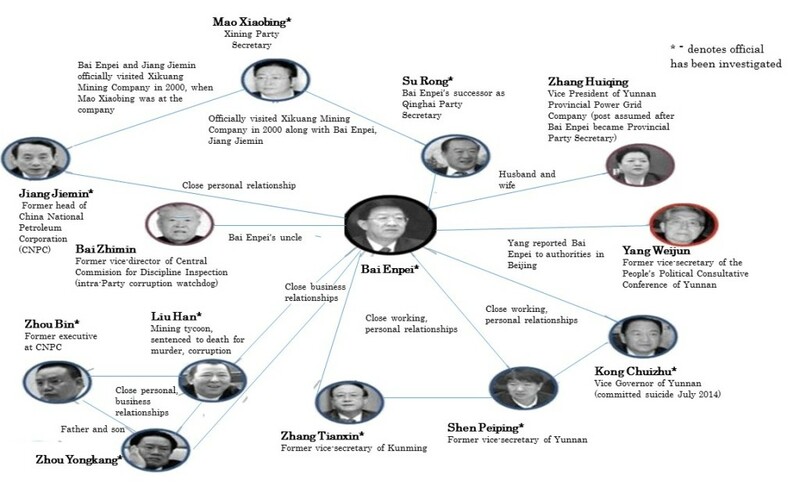 In the case of Shanxi, its army of ostentatiously wealthy coal bosses were known nationwide, as were their close relationships with their political patrons. At the same time, Yunnan’s reserves of aluminum, lead, zinc and tin are the largest in China and it’s clear from the cases of Bai Enpei and Zhang Tianxin that provincial power brokers were heavily involved in the illegal distribution of these resources. Also significant is the fact that all of the high officials mentioned in this article have ties to the disgraced Zhou Yongkang and his mining tycoon friend, Liu Han. With his power base in Sichuan, Zhou’s influence on officials in neighboring provinces, including Yunnan, was deep. Shen Peiping, Bai Enpei and Qin Guangrong especially were known to belong to the same political clique that formed under Zhou Yongkang. Shen and Qin were heavily rumored to engage in business with Zhou’s family members worth tens of millions of renminbi, while Bai Enpei sold off control of a western Yunnan mine to Liu Han’s family at a cut rate. In addition, Bai and Qin were Zhou Yongkang’s unofficial hosts when he visited the province in 2007, and Bai accompanied the Politburo Standing Committee member on his 2011 trip to Laos, all implying very close relations. For their part, Kong Chuizhu and Zhang Tianxin were intimately connected to Bai Enpei and as his power grew in the province, so did theirs. As is often the case within Chinese bureaucracy, underlings rise and fall with their leaders. 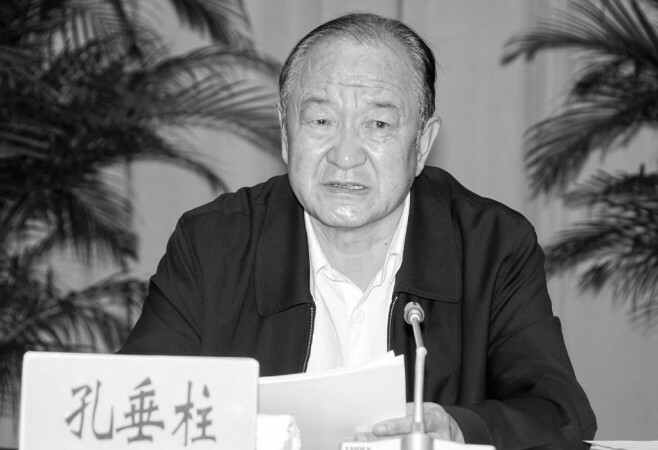 Bai Enpei, and those who came up with him, were intimately connected to Zhou Yongkang; they are now paying the price for their political associations.